Why Bring My Car in For Brake Service? You depend on your brakes to get you where you’re going safely and securely, day in and day out. Without brakes that work properly, you can’t be sure that your vehicle will come to a complete stop when you need it to. Taking care of your brakes is one of the most neglected maintenance services – and it is also one of the most important! If you hear your brakes squealing, feel a pulsation in your brake pedal or experience grinding and jerky stops when you brake, there’s a good chance that your car needs brake repair. Don’t delay – bring your vehicle in to Mazur's Total Automotive and our team will handle all of your brake repair and service needs. Our team of ASE certified technicians has the knowledge and experience to perform brake repair services for vehicles of all makes and models. Mazur's Total Automotive’s brake repair facility is stocked with the most up-to-date diagnostic tools, equipment and parts in order to provide your vehicle with the best brake repair Howell, MI has to offer. Your brake check will involve a complete inspection of everything from your brake pads to your brake hardware, lines and hoses. We back our brake repair work with a 24 month/24,000 mile warranty, so you can drive with confidence! Your vehicle is an investment, and it requires routine maintenance in order to keep it running for years to come. 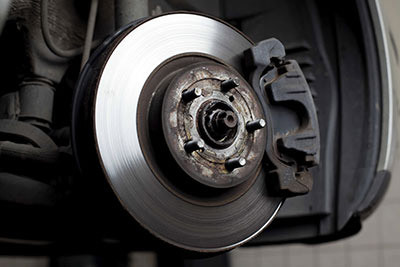 For example, worn out brake pads can cause damage to your brake rotors due to metal-on-metal contact. By replacing your brake pads on a regular basis, you can prevent damage to your vehicle’s rotors and avoid replacing a rotor. Not to mention, you’ll help ensure your safety on the road! We realize that it can be difficult to keep up with regular brake service and checks, so our team will help you schedule future brake repair service along with your other maintenance services like tire rotations and oil changes. By treating your vehicle with care now, you’ll keep it running safely in the future. Give us a call today to schedule your next brake repair!